Back in July, we told you about Fortnite founder Tim Sweeney. He created the massively popular game that became a global phenomenon – and then he gave it away for free. Sounds nuts, right? This turned out to be an amazing strategy. As of early June, the game has been played by 125 million people. All that game play has made Epic Games, the company Sweeney founded 27 years ago in his parents' basement, on track to generate $2.5 billion this year. Except now, that figure is much much higher. Back in July, the North Carolina company had a valuation in the $5 billion to $8 billion range. Today, Epic Games has been given a valuation of $15 billion. As the controlling shareholder, this gives Tim Sweeney a new net worth of $8 billion. Just a year ago he was worth $100 million. Around six months ago he was worth $1 billion. As mentioned, Sweeney founded Epic Games in 1991 in Potomac, Maryland. He was a student at the University of Maryland at the time, but his parents lived by and his computer was at their house, so technically, the origins of Epic Games did begin in his parents' basement. Sweeney isn't just about developing phenomenally popular video games. He is also really into ecological preservation and has been buying land in North Carolina and setting it aside for that purpose. This makes him one of the largest landowners in North Carolina. He owns at least 40,000 acres in North Carolina. In 2016 he gave 15,000 acres to the U.S. Fish and Wildlife Service for environmental preservation. The new valuation of Epic Games creates a windfall for 47-year-old Tim Sweeney and Tencent Holdings, which bought 40% of Epic Games in 2012 at a valuation of $825 million. Prior to Fortnite, Epic Games' biggest hit was the Xbox 360 game Gears of War. Epic also owns Unreal Engine, a widely used operating system for building games. Sweeney lets developers use the product for free and collects royalties on the sales of games made using his software. Fortnite is played obsessively by kids, athletes, rappers, and pretty much everyone at this point. It is a cartoonish fight to the death battle where players beat up on one another as they try to survive on a shrinking, storm ravaged island. Drake is a fan. The L.A. Lakers' Josh Hart is a fan. Instead of charging $40 or more for the game, players buy online V-bucks, a virtual currency. Players then use the V-bucks to buy skins, special missions, or celebratory dances that cost up to $20 each. Many of Fortnite's accessories are only available on a limited basis, which makes players buy them before they disappear. All of that action contributes to some of the highest rates of revenue per user in the gaming industry. The valuation for Epic Games has risen enormously as Fortnite has become successful. It is safe to say that Tim Sweeney's strategy to give this game away for free was a brilliant one! Epic MegaGrants is a $100M investment going towards projects by game developers and various other creative professionals doing "amazing things with Unreal Engine." 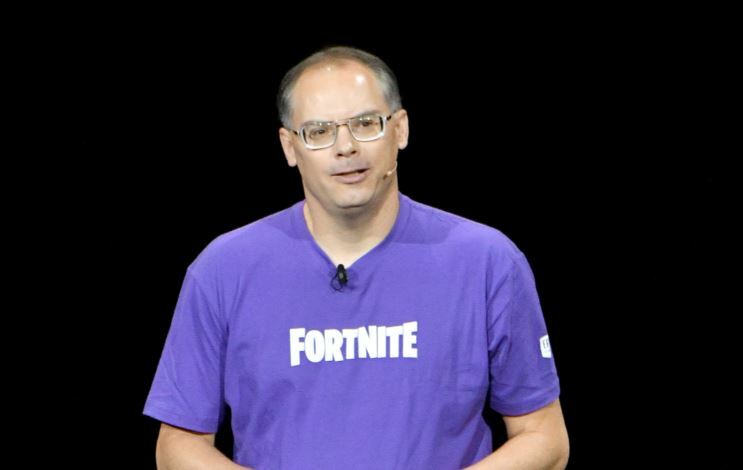 Tim Sweeney created the global phenomenon Fortnite and gave it away for free. That turned out to be a brilliant strategy that has made him a billionaire.